Campbell Soup Company of Maxton, N.C., is recalling approximately 4,185 pounds of chicken soup product containing milk, an allergen not declared on the label. 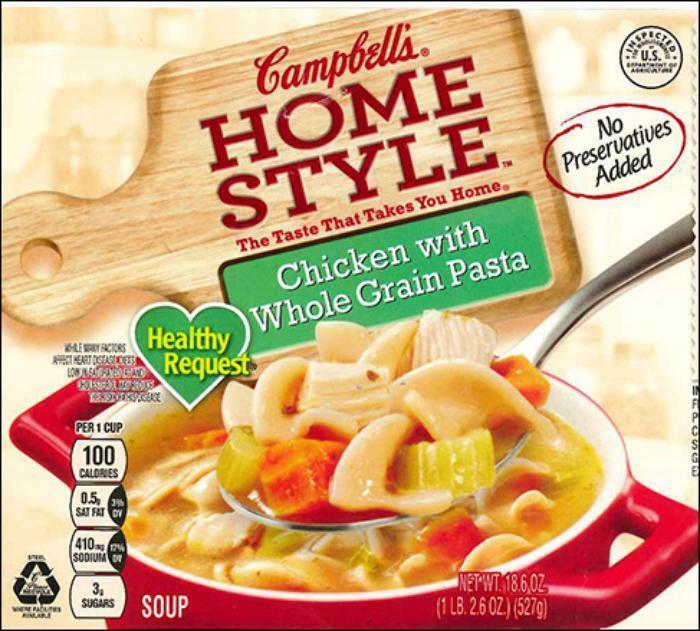 The product was labeled as “Campbell’s Homestyle Healthy Request Chicken with Whole Grain Pasta” but actually contains “Campbell’s Homestyle Healthy Request Italian-Style Wedding Spinach & Meatballs in Chicken Broth” soup. It bears establishment number “EST. 4R” on the bottom of the cans, and was shipped to retail locations in Florida. Consumers with questions about the recall may contact Campbell consumer affairs at (866) 400-0965.